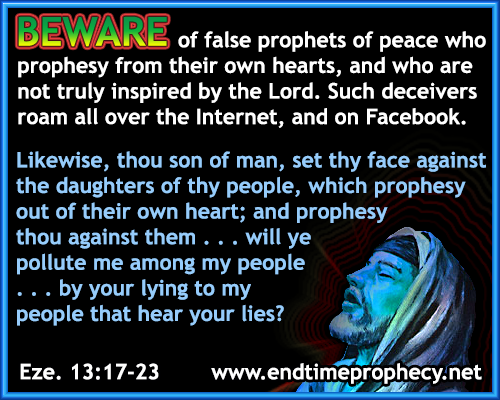 How do you tell a true prophet from a false prophet? Zeke imagines that god tells him to prophesy against all those other ‘false’ prophets who are following only their own imaginations and have seen nothing at all (v 2-3). Are you kidding me? Pot… kettle. The rest of the chapter is a rant against these false prophets, and the only thing that’s notable about this rant, as opposed to all the others, is that female prophets are singled out for special condemnation (v 17-18). And then god goes off on another rant about how he could/would destroy Jerusalem with war/famine/wild animals/disease. What a maniac!